The Fiesta is free to enter, but car parking must be purchased in advanced. Car parking tickets for 2019 will be launched early in 2019. Special shapes and a small number of balloons launch on Thursday 8th August at 6pm. Mass Hot Air Balloon ascents take place on Friday 9th August at 6am and 6pm, Saturday 10th August at 6am and 6pm and Sunday 11th August at 6am and 6pm. We are delighted to be able to provide limited camping on site at Ashton Court. Car parking must be purchased in advanced. Car parking tickets for 2019 will be launched early in 2019. Hot Air Balloon applications for 2019 will be opening shortly. 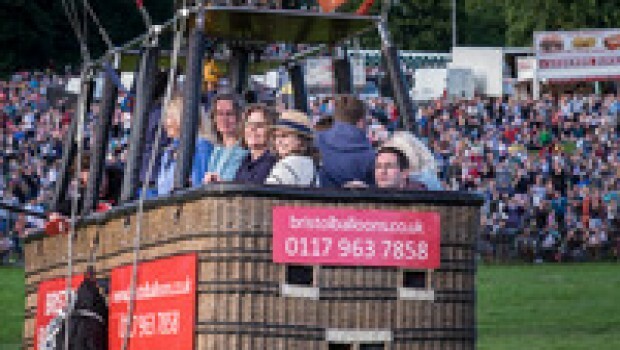 Please contact ballooning@bristolballoonfiesta.co.uk for further information. We recognize the importance of contributing to our local communities. We do this by supporting one official charity partner every year. Our charity partner for 2018 and 2019 is St Peters Hospice. In addition, we support the local communities directly impacted by the Fiesta by supporting their local fundraising projects by providing prizes for raffles and auctions.